Museum currently closed until early 2019 during construction. The Asheville Art Museum is undergoing a historic transformation, with major construction about to begin on the new facility, which is scheduled to open in 2018. The Museum's 2 South Pack Square location will temporarily close beginning October 31 to allow for the construction and to keep the Museum’s Permanent Collection safe and secure. In December, the Museum is excited to be opening Asheville Art Museum On the Slope, a small pop-up Museum at 175 Biltmore Avenue (the old Foam & Fabric building), which will house a gift shop, a rotating intimate exhibition gallery and an education studio. It will also serve as the temporary offices for Museum staff. As the Museum begins this time of transition, it will continue an active schedule of programming for all ages off-site with community partners across WNC. The Museum is pleased to be working with a few organizations that will store its Permanent Collection in secure and climate-controlled environments. In addition, the Museum is collaborating with a number of community partners such as Western Carolina University, the State Employees’ Credit Union and Wells Fargo to present works on view to the public during the construction phase. Programs for children will continue at local public libraries, as well as On the Slope. If Asheville City Schools are closed, the Museum will open at noon if weather permits. If the weather is too hazardous, the Museum may close for the day and the Museum phone message at 828.253.3227 will be updated as soon as that decision is made. 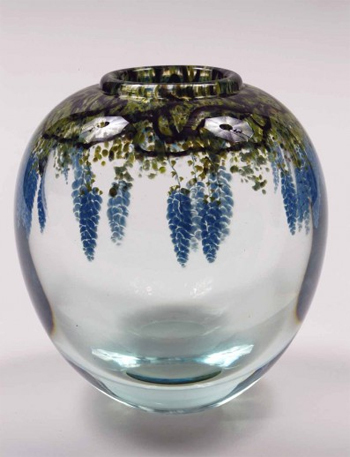 Additional fees may apply for selected exhibitions. ext.120. For student tours contact the Education Department at 828.253.3227 at 122 or 121. For more information visit our Group Tours page. Take Exit 5A Merrimon Avenue. At the light turn left onto Merrimon Avenue (the street will become Broadway). Continue on Broadway toward Vance Monument. We are on the left corner directly across from Posana Cafe. corner directly across from Posana Cafe. 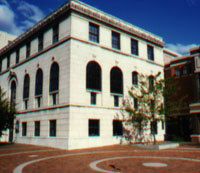 Organized in 1948, the Asheville Art Museum is Western North Carolina's premier visual arts institution and its collections a unique resource in the city and the region. The Museum's programs engage diverse audiences of all ages in active exploration of themselves - their past and future - and their communities, through interpretation of American art since the beginning of the 20th century. Committed to being a vital force in the community and individual development, the Museum's focus is on lifelong learning through the visual arts for all audiences from pre-school children to senior citizens. Ever mindful of our commitment to lifelong learning through the visual arts, we continue to evolve and enhance the dynamic features of the Web site over time, providing in-depth and interactive content and tools that allow Museum visitors like you to better access, explore and experience all of the rich programming and information that the Museum has to offer—from the comfort of your home or workplace. The Asheville Art Museum engages, enlightens and inspires individuals and enriches community through dynamic experiences in American Art of the 20th and 21st centuries. To transform lives through art.